There’s a variety of things that come to my mind when I think of cloning – sci-fi alien movies, Dolly the sheep, the genetic engineering ranch from South Park. Something that is still far from my skeptic imagination is a clone of myself – or the clone of any human being. But in an astonishing tale of twists, the scientific community has been able to create a healthy clone of one of the primate species – a monkey – for the first time after several failures. Although the achievement of cloning apes has rendered a theoretical possibility to the cloning of humans, the cold truth is that the process of breeding monkeys in a lab is far from optimal. Only two babies were born out of 127 fertilized eggs. Moreover, the outcomes of trying to clone an adult monkey have not been fruitful, particularly because of the challenging aspects of the process. Cloning monkeys involved scooping away of the immature DNA from monkey eggs and filling them with DNA from a fetus. As the egg cell grows into an early is then placed inside a female monkey. 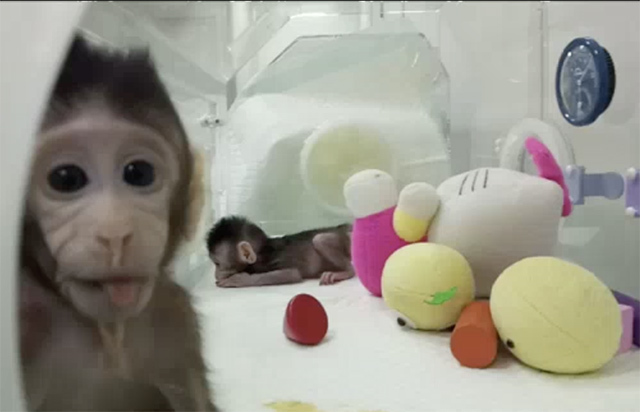 Scientists hope that cloned animals would help advancing certain medical research. 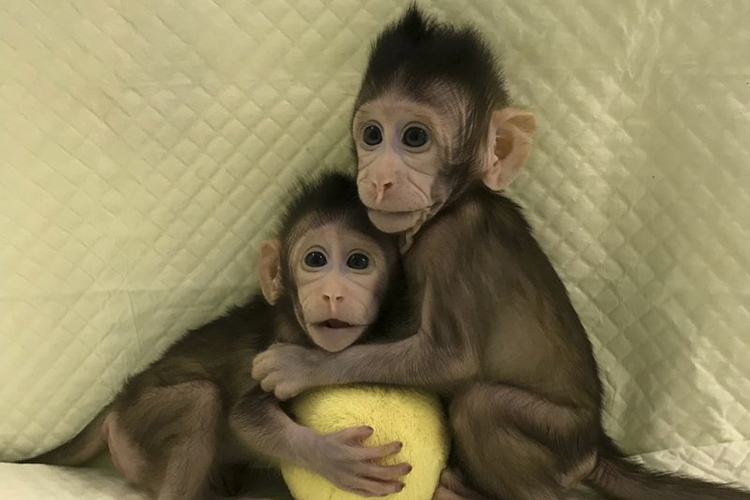 Cloned monkeys will be used in a study medicines and treatments for syndromes, beginning with Parkinson’s and Alzheimer’s. The discovery, for this reason, has met flak from People for the Ethical Treatment of Animals or PETA. Developing humans the same way is something scientists don’t actually desire to do – not at least right now. This is because the process of gene manipulation of human embryos, many scientists believe, will lead to human rights and ethics debates – and it rightly should if science breeds physically or mentally peculiar humans who are not acceptable to the society. This also leaves room for examination of surrogacy as an effective way of carrying a cloned fetus. It might become a reality but only after scientists have foolproof ways of creating efficient and desirable monkeys, and subsequently humans.